In the last five years Forte & Tablada has doubled in size. 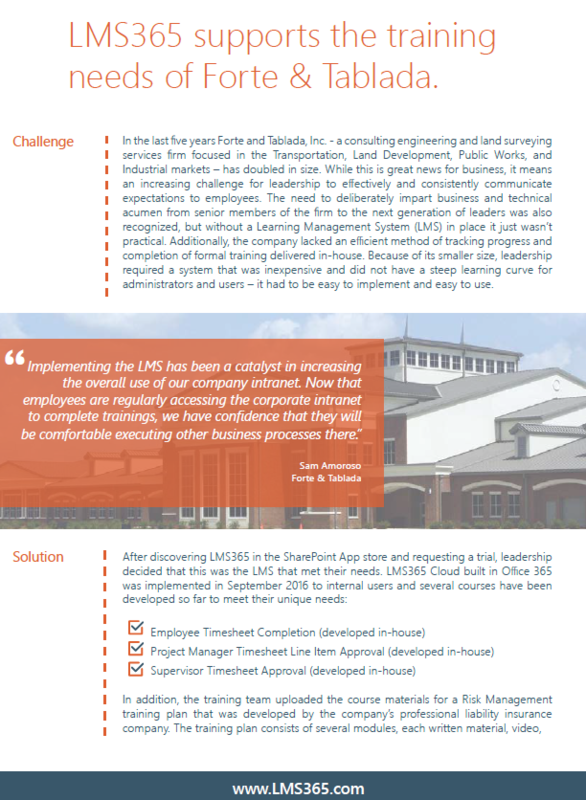 Due to its increase in growth the consulting engineering and land surveying services firm found it increasingly challenging to train employees, especially without a Learning Management System (LMS) to support learning. Enter LMS365. After discovering the LMS for Office 365 in the SharePoint App store and requesting a trial, leadership decided that this was what the company needed to meet their training needs. 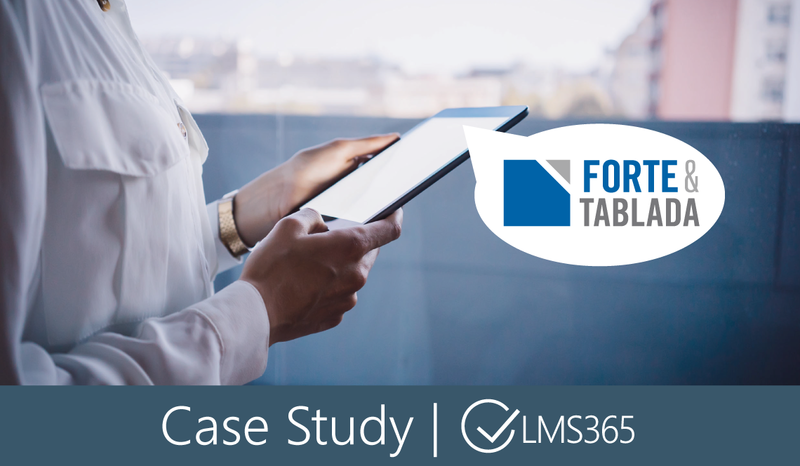 Learn about the challenges Forte & Tablada faced, how these were addressed by LMS365 and what training looks like now at the civil engineering company.